Once we caught enough fish, Mr. Casey decided that it was time for us to head back home across the open waters in the dense fog. And as you might imagine – without a compass – I was certain that we were destined for a Gilligan’s Island experience becoming totally lost in the middle of the Pacific Ocean in a 16-foot skiff on the longest boat ride of my life. But somehow, Mr. Casey, a lifetime experienced Native American Indian fisherman, navigated our little skiff back into the safe harbor of Metlakatla despite the endangering fog that seriously impaired our ability to see. Maybe it was the direction of the wind or the direction of the currents or the fact that Mr. Casey had traveled that path so many times he could do it with his eyes closed – I don’t really know – but what I do know is that Mr. Casey followed the right path and it brought us home safely. 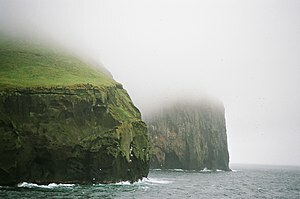 Once we arrived at his home on the island, Mr. Casey told his wife the story about the fog and my worry about sleeping on the island. Laughing together with everyone on our team, Mr. Casey’s wife affectionately labeled me an official “Greenhorn”. The Make It Happen Professionalism Value: “Make It Happen” People Are Professionals! The Make It Happen Moment ® Divine Direction Copyright 2010, The Make It Happen Learning Institute. You have permission to reprint The Make It Happen Moment ® Divine Direction, in its entirety only, and forward to your colleagues and friends, provided the copyright notice remains part of the reprint and transmission. All other rights reserved. Gary, What a great story, I picture your face in that boat like one of the apostles in the boat with Jesus during the storm, skeptical and nervous. Praying all along that you guys would make it back safely. When you finally did, you could only appreciate Mr. Casey’s years of experience and ability to navigate in the thick fog. I’m sure it was a great feeling when you finally made it to shore. Kind of like real life. :-)) Some days we all get lost in the fog, but thankfully, it usually clears. However, It does help when you have a good partner to travel with. Yes Mike, there is certainly no better partner to travel through life with than the Lord. Plus, great friends always make the journey better as well. Thanks for being a great friend! I really love this MIH Moment! We all find ourselves lost in the fog of life (some of us longer than others) but thankfully we have great leaders to remind us we are not alone and our faith will always to get us through until the fog has been lifted. Thank you for your great stories and words of encouragement! Thank you Vickie for your encouragement and support! I’m thankful that the Lord promises to never leave us nor forsake us no matter the circumstances in life that we walk through with Him. You are a tremendous leader and your faith is an inspiration! Many blessings to you and your family!